~ How did you first discover LMM’s books? That’s a good question. A relative mentioned she had watched the movie, “Anne of Green Gables.” So, I decided to check out the movie. After watching Anne, I read the books. ~ What’s your favorite LMM book? ~ What’s your least favorite LMM book? ~ Who is your favorite character in allll of LMM’s books? ~ What couple is your favorite? ~ What is your favorite quote from LMM (either a quote from one of her books, or from her personal life)? ~ How many LMM books have you read? 🙂 I’m thinking. All of the Anne Shirley books. Mmmm. The three Emily books, The Blue Castle and Pat of Silver Bush. And, mmmm . . .
~ Which LMM book would you most like to see made into a movie? Good question. Probably the “Emily” books. ~ Have you found a kindred spirit? Every Sunday for the next few weeks, I hope to share my favorites of the Christmas Season. It could be anything – a Christmas book, the story of a surprise gift I received . . . “O Holy Night” is one of my two favorite Christmas songs. Celtic Woman sings this song beautifully. Enjoy! What is your favorite Christmas song? I’d love to hear from you. Could a movie be more Christmasy? 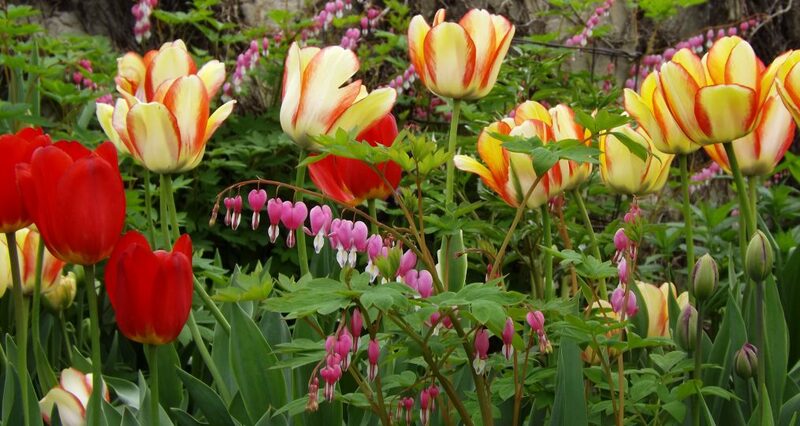 Could a movie be more bursting with color? Romance! Comedy! Dancing! Singing! And just plain fun! 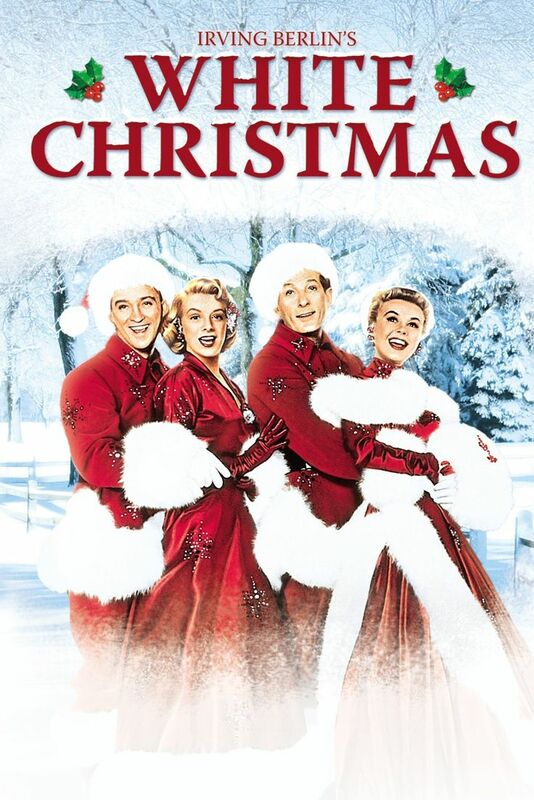 White Christmas is my first choice for classic movie Friday for the Christmas Holiday season. Have you seen White Christmas? 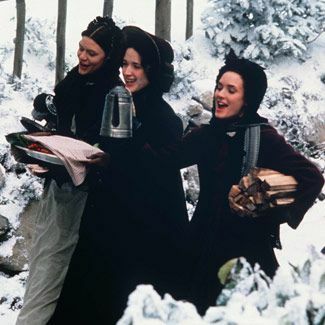 Do you have a favorite holiday Christmas movie? I don’t think I really have a favorite Christmas movie. There are so many good ones. 🙂 There are so many to choose from! I’d love to hear from you. For Thanksgiving I have compiled a list of TEN fictional girlfriends who are coming to our humble abode for Thanksgiving. Poor Rick! He’s going to be surrounded by women. 🙂 “Ahem.” I’m making the turkey and stuffing and they are each bringing the side dish of their own choosing. It should be interesting. These great gals are listed alphabetically by their fictional first name. Alex Danvers from the TV series, “Supergirl.” Alex, played by Chyler Leigh had big responsibility placed on her shoulders early in life. She’s tough although not so tough. I like her! Cynthia Kavanagh of the Mitford Series by Jan Karon. What’s not to love? This lady is creative and so full of love. She has an innocent/childlike quality and a strong faith. Emma Woodhouse played by Romola Garai from “Emma” by Jane Austen. I have not read all of her books but, Emma right now is my favorite book by Jane Austen. This lovely lady will definitely bring sparkle to the Thanksgiving table! Jo March played by Winona Ryder from “Little Women.” Good strong but flawed female character from a great family. Do you remember the cake with the powdered sugar sprinkled on it from the movie? I hope she brings that cake to the meal! Jules from “The Intern.” I love Jules, played by Anne Hathaway. I connected with this character in so many ways. And, her daughter is more than welcome to join us. Kara Danvers the amazing “Supergirl!” She flies into danger, eager to help always giving the villain an opportunity to change for the better. This character is played by Melissa Benoist. Lucy Pevensie from “The Chronicles of Narnia” by C.S. Lewis. This strong female lady is played by Georgie Henley. Raleigh Harmon of the “Raleigh Harmon Series” by Sibella Giorello. Good strong woman from a troubled home. I really like this character. She needs to have a weekly TV series! Tuppence Beresford from the Agatha Christie mysteries, “Tommy and Tuppence.” These two have such fun together, but Tommy has to stay home. Sorry Tommy, this is a fictional girl Thanksgiving. Maybe Rick can join him for some guy fun! Rise and Shine. I have a visitor today! Come on in! That’s right, the talented Ness Kingsley, author of, “Our Intrepid Heroine,” “Our Accidental Adventure,” and “The Curse of Cackling Meadow,” is visiting the cottage today. So, without further ado, here’s Ness Kingsley! I’ve blogged for . . . hmmm . . . about four years? It took me quite a few goes before I found a blog I could settle into and now I’ve been blogging on of words & books for a little over two years. I blog because I like having a place to express myself – to rant about books, writing and occasionally life in general. Oh! Tough question. Now, I like romance, mystery (mostly of the murderous kind), fantasy and a wee bit of sci-fi. Anything that has a good adventure or a character that I can truly get behind, laugh with and cheer on. The Chronicle of Robin Hood by Rosemary Sutcliff – it’s not my favorite of her books, but hey! It’s Robin Hood. You know what? I love this question even if I have no idea who my favorite fictional character is. Hmm. Alright. So I would herd the Phantom of the Opera into a seat and lecture him on manners and healthy relationships. Also, I’d ask him what he thinks about modern music. And rap. The answer should be rather entertaining. 5.) If you could live inside a fictional story which book would you live in and why? Any Mary Stewart book – Nine Coaches waiting or Airs Above the Ground. (I should have picked a heroine of hers to go for a coffee with!) Oh! Or Georgette Heyer’s regency world. Or I’d be a friend of Amelia Peabody’s and crack open a murder case with her. The possibilities . . . Wonderful question but of so hard to answer! And do you know what’s awful? I can’t think of a single one. I mean, I have been inspired by fictional characters – I’m certain of it. But to bring one to mind is proving rather hard. The Bible – I’d try and memorise as much of it as I could. And probably fail horribly at it. Memory like a sieve and all that! Thank-you for the excellent questions. photos provided by Ness Kingsley. Thanks so much Ness for your visit. It has been fun. Thanks for the photos of your books and the awesome answers to the questions! Hannah owns a successful bakery and this mystery has almost as many recipes in it as a cookbook! haha. Larry Jaeger owns the “Crazy Elf Christmas Tree Lot,” where there is more happening than selling Christmas trees. Well, one, cold, winter night Hannah and Norman, the dentist, discover Larry’s dead body in his own comfy home away from home. I did solve the mystery but that is really ok with me. I don’t mind solving mysteries at all. I give this cozy read 3 stars! Ben Fisher was “downsized” from his dream job. His aunt and uncle invited him to stay with them on their ranch in Alpine, Texas. Ben is searching for a new job and is ready to hit the road as soon as he finds one. Marley Sanders is a photographer, trying to keep her business going so she doesn’t need to ask her political minded father for financial assistance. Marley loves Alpine and never wants to leave. There were so many things I liked about this book. I liked Marley. Photography is such a wonderful profession and I enjoyed reading about her talent in photography. She was a creative person and loves the people of Alpine. She’s involved in a wonderful outreach in a border town and – with the help of others – does so much for the people of this needy community. Ben is a good guy. He seems a litlle lost and his ego is bruised from loosing his job. He does so much to help Marley and doesn’t hesitate to assist where help is needed. It seems strange, but I couldn’t connect with Marley and Ben at all. I couldn’t “get into” their characters or the story. It has a sweet ending as most “Love Inspired” romances do, but this one just wasn’t for me – I guess. 3 stars.